This fall, one of the iconic costumes from Black Panther is going on display at the Smithsonian’s National Museum of African American History and Culture in Washington, D.C., where museum officials are eyeing its permanent installation. The display arrives in tandem with the museum’s inaugural film festival, which takes place Oct. 24-27. 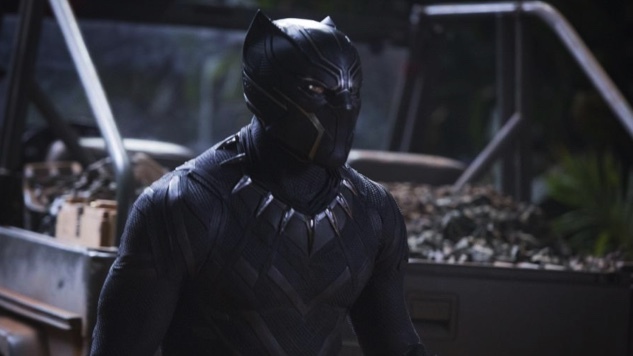 The aforementioned costume is King T’Challa’s (Chadwick Boseman) sleek, ashen suit worn in the first half of the film, designed by Judianna Makovsky. Later in the film, T’Chall’s suit gets a futuristic facelift thanks to his innovative sister Shuri (Letitia Wright), a costume that was adapted by Oscar-nominated designer Ruth Carter. The exhibit, which acquired the original suit, will also include a signed shooting script from the film and a collection of behind-the-scenes photographs. Not only did Black Panther accomplish a number of bold artistic statements, it also succeeded economically. Released in February, the film became the highest-grossing ever to be released in that month and also surpassed The Last Jedi in earnings, bringing in more than $1 billion at the worldwide box office. For more information about the museum’s film festival, visit the Smithsonian website. For more Wakandan lore, revisit our review of the blockbuster film here.